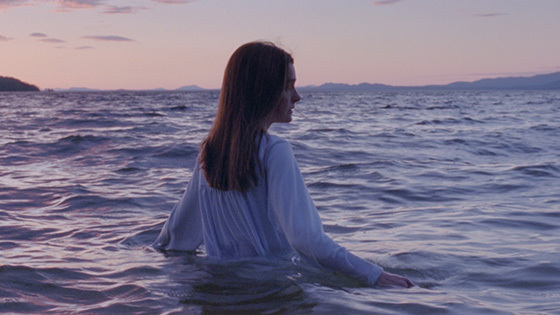 When Jamie leaves home to work on a gas rig in British Columbia, Judy - who has been living with Parkinson’s disease for 17 years - and her husband, Ed, are left to continue their quiet life on the shores of Aleza Lake. But, when Judy finds Ed dead from a heart attack, her world become suddenly uncertain. Struggling against her disease, her grief, and isolation, Judy fights to maintain control. Returning to the rigs too soon, Jamie stumbles his way through the grimy reality of camp life, confronted with doubts about his sexuality and his ability to survive this version of manhood. When a violent attack against him leaves another man dead, Jamie finds himself shaken and burdened with guilt. Hoping for relief, he heads home, where he finds Judy living in a state of disarray. Each carrying their own secret demons, mother and son carry on, only finding respite in the company of a pregnant teenager, Kaly, who delivers their groceries. But, when Jamie fails to return with his mother's pills, finding her hours later stuck in a tub of freezing water - he is hit with a wall of shame. Trying to warm her fragile body, Jamie breaks down and the two finally find a moment of solace in the admission of their shared burden - the guilt of not being enough for those they love.